G2517 - Shell ATM comes without a dispenser. It is designed to be used by customers who may be upgrading from an older ATM in which the dispenser can be removed and put into the shell. Not all dispensers will work. Please contact RocketATM support for additonal help. EMV ready and uniquely designed, theG2517 ATM machine has been engineered to stand out in looks and performance. Priced competitively, RocketATM unquestionably stands by this retail ATM machine. 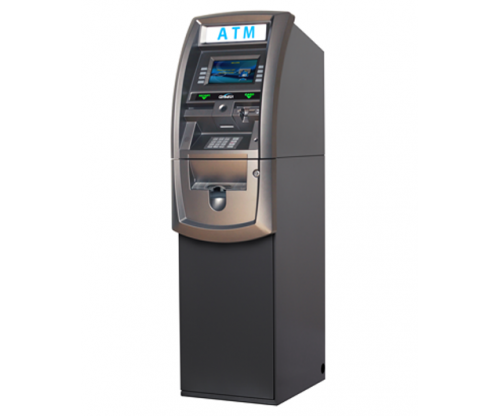 Designed for retail and off-premise locations, the G2517 comes loaded with all the features you expect, and also provides additional hardware configuration choices allowing you to custom fit each machine to the needs of your customer or location. The G2517 comes standard with an 8" high resolution wide-screen LCD, which can be upgraded to a 10'2" touch-screen. The receipt printer can also be upgraded to a 3" graphics-capable for custom branding and coupons. The integrated topper can also be paired with a selection of energy-efficient LED toppers to add visual impact and attract customers. In addition to the fixed, removable and multi cash cassette dispenser options offered by Genmega, the G2517 can also support cash dispensers from other equipment suppliers, providing more flexibility and upgrade options for existing deployments.